Wine writer Eric Degerman and I met this past June. When I was organizing the Oregon Pinot Gris Symposium, sponsored by Oak Knoll Winery, the team of Eric Degerman and Andy Perdue were called upon to deliver the keynote speech. I had heard about Andy, but Eric was a background singer for me, which I was to later learn just isn’t the case at all. 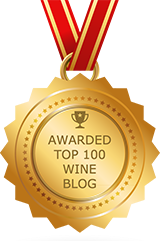 I try to keep up with everyone writing about wine, I really do. But, it’s increasingly more impossible than ever, given all the new writers daily coming onto the scene. Years ago, when I first started this professional cycle, wine writers were who they were and it was static electricity. I had a good 13-14 year run that way. Then, Web 2.0 happened, and the flood gates opened, and tons of would be (with many becoming) wine writers just poured onto the scene. 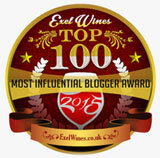 My main reason for writing stories about wine writers… it’s a very practical use of my wine blog. Clarifying… this usually comes from someone just getting into the wine business. At that time, it would impossible for them to know every wine writer in the US… So, my wine writer page has all of the stored information. I can simply guide them to my link. As I work with our Oak Knoll client, I’m getting to know most of the players in the Northwest. It’s a unique education, focusing on just one area this way, versus the broader US market. Also, a tradition has evolved with the Oregon Pinot Gris symposium; meeting the night before to break bread with our wine writers… Wine Enthusiast’s Paul Gregutt is a traditional guiding rudder, because his background is primarily one of marketing. Actually, I can’t even say primarily… Paul’s a Renaissance man, whose passions are marketing, writing, musical with vocals, guest cottage rentals in Waitsburg… and wine (I’m probably forgetting a few other aspects of Paul.). Not one attribute seems to dominate. Paul’s a fabulous dinner guest, and this year Eric and Andy joined our merry group. It was Eric that I found to be quietly very funny at dinner. We sat next to each other and giggled throughout the meal. This is the most special part of my wine publicist’s job… Breaking bread with fellow writers. 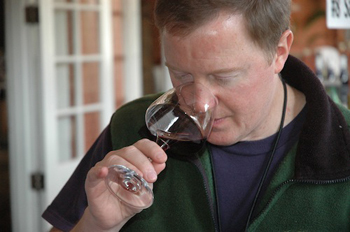 I ask each wine writer a consistent group of questions… So, here we have Eric Degerman. You’ll find the humor in his punch lines, I’m sure. 1. Many wine writers also have a day job. If wine isn’t your job, what is and for whom? 2. When did you start writing about wine? [ERIC] My first wine-related feature appeared 1998 in the debut of Wine Press Northwest magazine, and it focused on John Sarich, Chateau Ste. Michelle’s culinary director. He’s become a constant influence in my life, because the recipe book he gave me for that article helped inspire my wife to become a remarkable cook. Her collection has grown beyond a dozen wine-themed cookbooks, but John’s books remain her favorites. Heck, Ste. Michelle still labeled a wine as “Johannisberg Riesling” back then! 3. 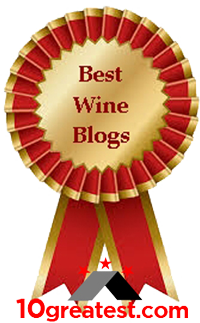 What prompted you to start writing about wine? [ERIC] My folks got me interested in wine when I was about 35 years old, and I noticed wines of the Pacific Northwest were not receiving the amount of news coverage they deserved. My friend and co-worker, Andy Perdue, convinced the newspaper publisher we were working for to allow him to start a wine magazine. 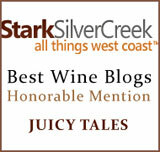 I continued to work as a sportswriter for several years while contributing more and more to Wine Press Northwest. Along the way, Andy was promoted to run the newspaper’s websites. In time, he recruited me into his department, with the lure of drinking wine and playing on the Internet. It was rather easy to give up dealing with stinky athletes and focusing on fermented grape juice. 4. What aspect(s) of wine do you most enjoy covering? [ERIC] The people. Each one has a story worth sharing. Most winemakers, vineyard managers and winery owners realize it helps sell wine if they are willing to let the public know something interesting and/or honorable about them. 5. How has your job changed since you’ve started? [ERIC] Andy and I recently resigned our positions as editors at a daily newspaper in Washington state, to launch a full-time wine journalism business together (GreatNorthwestWines.com). It means we write daily. And I don’t miss having to fix other people’s copy every day. 6. What’s the most memorable wine you’ve ever tasted? [ERIC] The Abacela 2009 Estate Port-style. It’s a living memento of a special week that I spent with my friends Earl and Hilda Jones documenting their 2009 harvest in Roseburg, Ore. I was the first person outside of their family to foot-press the grapes for that wine, and Earl woke me up one night so I could witness he and winemaker Andrew Wenzl perform the mutage. In time, thanks to Earl’s vines and Andrew’s skill, that wine went on to win several gold medals in 2012. 7. What’s your favorite variety? [ERIC] Riesling. I could drink it all day — and I have. 8. Do you believe that there are better quality, lower priced wines today, than in past vintages? [ERIC] Without a doubt. Andy Perdue and I have been tasting blind for more than 15 years, and we kick out far few wines than we did back in the late 90s. And I’d like to believe that my palate has gotten better, not worse, over the years. 9. What’s your favorite innovation in the wine industry over the past few years? [ERIC] Screwcaps. High-quality producers continue to embrace them, which makes it easier for more people to enjoy wine. 10. What’s your favorite food and wine pairing? [ERIC] Riesling and Asian fare. Give me a bowl of spicy pho served with a cold glass of “Rizza” and I’m in a happy place. But please don’t watch me eat. 11. What are your interests outside of the wine business? [ERIC] I’m a fan of baseball, football and futbol. I also enjoy friendly rounds of golf, hiking the trails of Mount Rainier with my wife and hope to play more tennis. 12. Who inspires you (wine business or outside of it, doesn’t matter)? [ERIC] Andy, my business partner and friend for more than 20 years. He’s a tireless worker, a skilled writer, a one-man IT department, a cancer survivor, friend to all, a devoted husband, father and son, a civic-minded soul and a talented public speaker who can disarm just about anyone. 13. For what would you like to be remembered? [ERIC] Providing fair and honest coverage, and I’d like to think that I’ve helped someone buy a bottle of wine that made for a marvelous meal with friends and/or family. Eric is everything he claims to be in your article and much more. He left his foot print on that 2009 Port and in the hearts of us Abacelians forever. Earl, thanks for adding more color to Eric’s profile. He’s indeed a wonderful man.